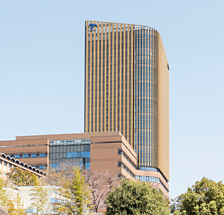 Located in the city of Hachioji in Tokyo, the Hachioji Campus is a teaching and research campus with a strong focus on humanities and liberal arts. The large student population creates a lively atmosphere on campus. Teikyo University Junior College is also located here. 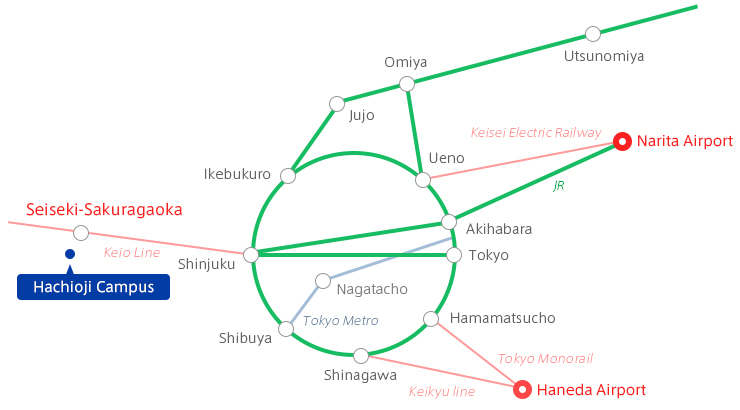 Take the Keio bus for Teikyo Daigaku Konai departing from Bay 2 and get off at the end of the line. The journey takes about 15 minutes by nonstop bus, and 17 minutes for buses that serve all stops in between. Take the Keio bus for Teikyo Daigaku Konai departing from Bay 1 and get off at the end of the line. The journey takes about 11 minutes by nonstop bus, and 13 minutes for buses that serve all stops in between.